The global marketplace offers unlimited choices to architects, designers and builders when it comes to sourcing and specifying materials for various projects. In addition to Australian designed, manufactured and tested products, the buyer has access to several imported options. However, one should find out how these imports compare to Australian made options, and how protected the buyer is in the event of product failure. Choosing an imported product over Australian designed, tested and manufactured windows and doors may save you money in the short term, but does it provide you with long-term guarantee and consumer protection? What happens when you have a warranty service request for the product a couple of years down the road? Will your supplier of imported products extend support once the purchase is made? European designs are highly preferred for their perceived quality in comparison with locally designed offerings. In such cases, the product is sourced from Europe at the buyer's expense and the relationship with the manufacturer concludes with the delivery of the product. Windows by Architectural Window Systems (AWS) are designed and tested by Australian engineers who know and understand the unique environmental conditions of Australia. With consumers seeking new and innovative products that are also compliant with building code regulations, AWS offers a wide selection of products that are tested and compliant to suit diverse applications. However, this customisation is not always possible with imported products. The architect’s job is to identify the specific measurements and draw up the plan, but site inspections are still required by local estimators to measure and manufacture windows and/or doors to the exact opening on site. Even the slightest variation from the plan is likely to require an adjustment on the final product. This can create problems if the imported product has already been dispatched by the manufacturer. In the event of a malfunction, a local manufacturer will be able to resolve the issue quickly; an imported product would be difficult to repair or replace if there is a problem. Windows and doors are important elements in any build so it’s critical that you get it right the first time for long-term peace of mind as well as significant cost savings. 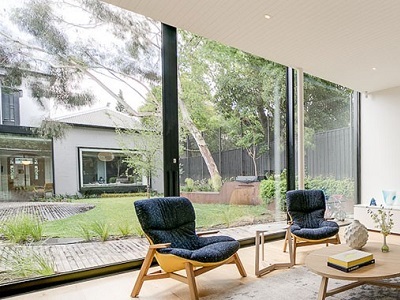 Windows and doors that are designed, tested and manufactured by Australians, for Australian conditions ensure you are getting compliant, high-performance products with a high service guarantee that will last long into the future.